On June 10th 1912, in a small house on the outskirts of Villisca, Iowa, 8 people including 6 children were murdered with an axe the killer was never caught. The victims, Josia and Sarah Moore their 4 children and overnight guests the Stillinger sisters, all now lie buried within a few feet of each other in the town cemetery. Although there were several suspects and two of the most prominent, William Mansfield and the Reverend George Kelly were separately brought to trial there were no convictions. The murder remains a mystery over a hundred years later. 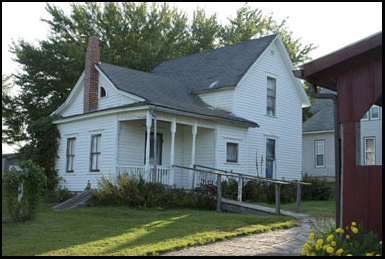 The Villisca Axe Murder House is now open to the public for tours and paranormal investigations. I had flown into Omaha, Nebraska from Los Angeles and arrived on time at about 3 in the afternoon. After collecting the rental car I set out on the hour and a half journey to Villisca and hoped to be in town by about 5 pm. I had booked my night in the Villisca Axe Murder House several weeks in advance and would be staying there entirely by myself in order to investigate the haunting’s that have alleged to have taken place. As I left Omaha and drove along the highway through the open corn fields of Iowa I listened to the radio. I had checked the weather forecast over the last several days it mentioned there was a 30% chance of thunderstorms in the area. The local news station now confirmed that there was in fact a high probability of thunderstorms and also that the area was on a tornado alert. At that point I remember thinking that as if spending the night in haunted house by myself wasn’t enough, with there being a thunder storm and the possibility of a tornado it was sounding like one of those straight to video horror movies. 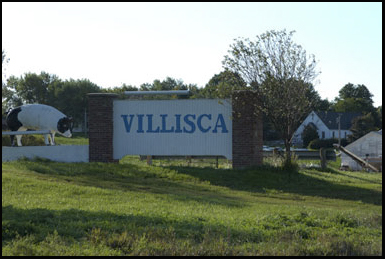 After about an hour drive to the east there is a sign pointing south to Villisca. It was another 20 minutes along highway 71 and then I saw the “Welcome to Villisca” sign on the left hand side, just off the freeway. I had brought with me as much monitoring and camera equipment as I could transport via plane including a laptop with two 56 Led infra red cameras, 2 hand held video cameras, a digital SLR camera, several digital tape recorders digital thermometers, 3 D.C Trifield meters, and a A.C EMF meters. Several prominent paranormal groups have investigated the Villisca Axe Murder House previously and captured some interesting footage including the door in the upstairs children’s bedroom apparently opening and closing on command by itself. However I do approach an investigation with few expectations as instances of genuine paranormal phenomena are exceedingly rare and unless you accept that then you can become increasingly uncritical of what you consider evidence in order to fulfill unrealistic expectations. I was scheduled to meet one of the employees at the Olson Linn museum which is also run by the owners of the Villisca Axe Murder House Mr. and Mrs. Linn, who would then take me to the house itself which is just a few blocks away. Villisca is a town that was built as a result of the cross state railroad that was established in the late 1800s, and many of the original buildings still survive. There is a gas station a few shops a bank and a restaurant. Its main street is just a few blocks long, and most of the town is residential with some small industrial areas on the outskirts near the railroad tracks. At one time it was the center of the regions agriculture c ommunity and had over 50 stores and two daily newspapers, its population is now just under 2000. I found the museum after following the posted signs that indicated east, then south towards the town center. I parked outside the building, in the large plate glass window at the front there is a sign advertising tours of the Villisca Axe Murder House. As well as overnight stays they conduct daytime and gaslight evening tours of the property which is only a few minutes walk away. On the front door it said the museum was closed, but there was a note saying that the person I assume I had come to meet was at a house located north a few blocks then another block to the east. I didn’t realize it until I got there but the house in question was in fact the Axe Murder House itself. I drove slowly along a small rural street that ran east to the edge of town. There were no sidewalks and the small neatly kept houses were a mixture of old and modern. At its end there is an intersection and on the left hand side was a 2 story white house with a sign on the front porch which said “Moore Family Home”, and in smaller letters below “Axe Murder House”. My first impression was that from the outside it doesn’t look like a haunted house, at least not during the daytime. But then what does a haunted house look like? Next to it there is another slightly larger house which was there at the time of the murders and belonged to a neighbor by the name of Mary Peckam who at around 7 am on the morning of June 12th was the first to realize that all was not well in the Moore House. I drove the car around to the side of the property, and parked it in the small driveway beside the recently built barn that also now served as a meeting and viewing room for visitors and paranormal investigators. 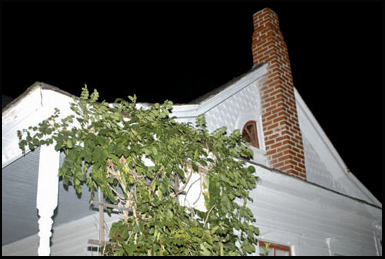 One thing that you don’t notice from the front of the Villisca Axe Murder House, but everyone must comment on is that the upstairs attic windows look exactly like the ones from the house in the movie the Amityville Horror. They are eye shaped and close to each other, that give the appearance that perhaps the house itself is looking down at you. The house does have a feel of isolation about it as it is the last one on the block at the edge of town. Across the street there is an open area with a power grid and what look like a few storage buildings, beyond that are the railroad tracks. The Villisca Axe Murder House has actually been restored by its current owners to be as close to its original state as possible, this included removing any modern fixtures and also going so far as to strip out the plumbing and electricity which the house wouldn’t of had at the time of the murders. As I walked to the rear porch of the house I noticed a small storage shed in the garden to the right hand side, although this is not original it is in fact a recreation of the coal shed where the axe to kill the family was taken from. The weapon itself is still in existence and there have been recent moves to try and bring it back to Villisca and put it on display. Even from the outside the first thing you will notice about the house is how small it is to have had 6 people living in it, and then to have had 8 people murdered there with an axe. In many ways this makes it more horrific then if it was some vast sprawling mansion. People were butchered within a few feet of each other, there was nowhere to run and hide and there must have been blood splatters everywhere. 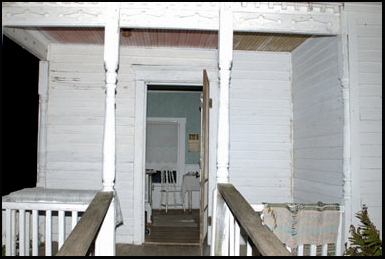 The approach to the porch at the rear of the Villisca Axe Murder House is via a small wood walkway that leads to the kitchen. As you get closer you do feel as if you are stepping back to another time, and although outside it is still light through the pains of glass on the door you can see that even at this time of day the house is in semi darkness. I knocked on the door, at the same time peering inside. I could see a cooking stove to my left and a breakfast table against the far wall, laid out with cutlery. There are curtains on the windows on the other side of the room that block out most of the sun. I waited for about 5 minutes but there didn’t appear to be anyone there. A short while later I found a pay phone at the nearby convenience store and managed to make contact with Mr Linn who is one of the owners of the Villisca Axe Murder House. He told me that he and his wife would meet me there in about half and hour, and that the rear door to the property was already open so I could go in and start unpacking my equipment. Initially I just took my camera and video camera with me as I returned to the house as I wanted to photograph it before I brought anything else inside. I also wanted to document the position of everything so that in the event that anything moved I would have a point of reference to check its location against. I walked back up to the porch and this time opened the door and stepped inside. As soon as you walk in and close the door behind you the atmosphere changes, it doesn’t matter that across the street there are other houses or that you just a few blocks from the center of town, all of that is instantly shut out. You are now inside a house where 8 people were killed with an axe within a few feet of where you are now standing and you probably just came in through the same door as the person that murdered them. There are no electric lights here to switch on; the only light when I am staying here tonight will be provided by kerosene lamps, and the flashlight I have brought with me. The floors throughout the house are wood and un-carpeted so they do tend to creak slightly when you walk on them. In the kitchen aside from the table and stove there is also what looks like a hand cranked clothes washer and on the wall there is one of those old fashioned telephones with the bell shaped earpiece. I started taking pictures of the downstairs rooms; even in daylight a flash is required. The only natural light is from the open door behind me, all the rest of the doors and windows are covered. I walked on through the kitchen to the adjacent living room. On the right hand side just before you enter is the narrow entrance behind which a stairway leads to the 2nd floor of the building. 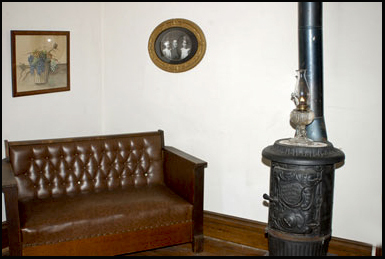 Like most of the rooms in the Villisca Axe Murder House the living room is fairly small no bigger then about 12 foot by 10. There is a brown leather couch in the right hand corner beside which stands a piano. 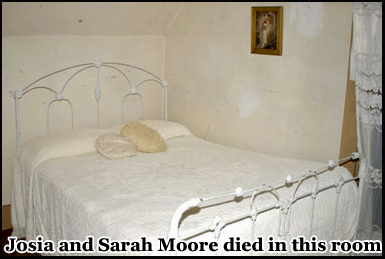 To the other side is a black funnel that extends from a wood burning stove which at one time heated the building, there is also an old black and white picture on the wall depicting some of the murdered members of the Moore’s family. To the left hand side is the front door, although it was believed the murdered entered through the rear of the house after taking the axe from the coal shed it was believed that he exited through the front, locking the door behind him and taking the key. On the opposite side of the living room is what was a downstairs guest room, it was here that 2 of the 6 children where murdered. 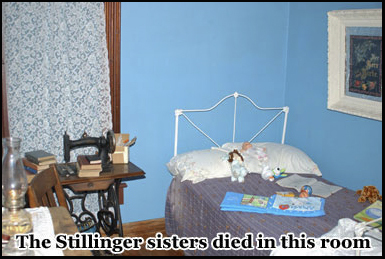 They were overnight guests by the names of Lena and Ina Stillinger, Lena was 11 and Ina was 8 at the time of their deaths. 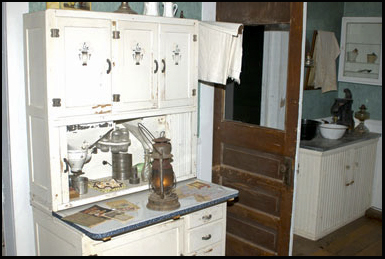 Like every room in the Villisca Axe Murder House it is very small, there is a bed in there a side table and at one end a small built in closet. The walls of the room are a light blue and the curtains are drawn as they were on the night of the murder so no one can see in or out. I went back to the kitchen and proceeded up the stairs through the doorway on the left hand side. They are very narrow, but it’s only about 10 or 11 steps to the upper level of the house. There is no hallway and as you get about half way up you get your first glimpse of the bedroom where Josia and Sarah Moore were murdered. There is a double bed on the right, on the left there is a dressing table. The rear of the ceiling slopes down slightly over the end of the room making it feel even more claustrophobic. Between this room and the second bedroom there is just a few feet of hallway. As you proceed down the passageway on your left there is a small wooden hatch that leads to the attic. You have to bend down to enter it. Behind, the attic is empty but you can see through the rear of the Amityville style glass windows. There has been some speculation that the murderer may have hidden in the attic before the Moore’s family got home, waited until they were asleep and then carried out the attack, although it has not been confirmed. But there must have been some element of surprise for someone to have been able to kill 8 people before they had time to alert anyone else or escape. One of the theories was that the murderer may have waited until the whistle from a passing freight train sounded at around 2 am in the morning and then committed the murders at a time when no one could hear their screams. But the 2 am theory doesn’t seem to tally with the opinions of the doctors that carried out the autopsy who thought that the victims died around 12 midnight, but an autopsy at that time wasn’t the science that it is today. I’ve already heard the train whistle go off once as I got into town and its unbelievable that anyone could sleep at all as the Villisca Axe Murder House is so close to the tracks, let alone sleep through someone being murdered in the next room. 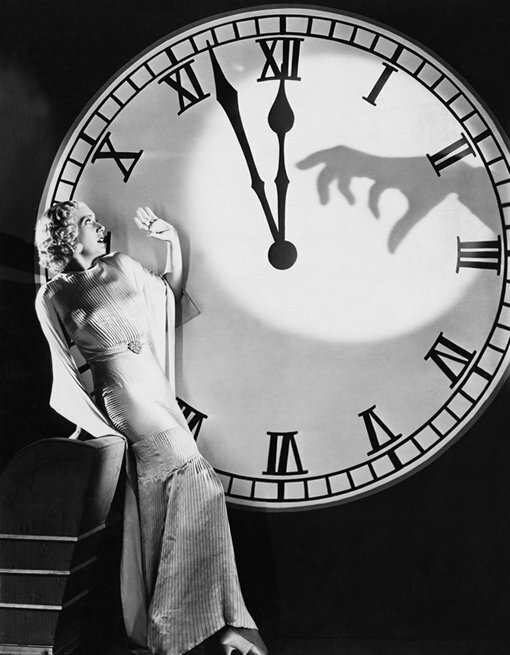 But people that have stayed here overnight have often reported that at the time the 2 am train whistle sounds the atmosphere in the house changes and a few in particular have experienced some sort of physical pressure bearing down on them in the area of the stairs. 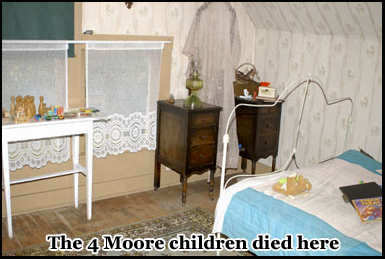 From outside the attic door it’s just a few steps to the other bedroom where the Moore’s 4 children were killed. They were Herman 11, Catherine 10, Boyd 7 and Paul 5. The combined size of the adjoining rooms can’t be more then about 20 feet by 12. I stood there in the children’s bedroom and looked back along the hallway, picturing what a horrific sight it must have been to see 6 body’s all hacked to death within such a small area. You could see that once the murderer had killed the parents then he could easily have blocked the hallway if any of the children tried to escape before he murdered them as well. There would have been no way out except through a first floor bedroom window. It’s not known if the children downstairs were killed first, but if not I would assume they must have heard some sort of commotion upstairs but the attack may have been carried out so quickly that they still didn’t have time to escape before they realized what was happening. The room where I am now has 3 beds in it, 1 where the two brothers slept and the other two were that of Catherine Moore and her younger sister. There is also a built in closet with a blue door on it. This door has become famous for having been video taped opening and closing on command by a team of paranormal investigators. It is believed that this may be in fact one of the ghosts of the small children that are responsible. Throughout the room there are sever al toys, some on the dressing table by the window and also on one of the beds. Like the other rooms there is a hardwood floor and the ceilings are fairly low. It is already starting to get quite humid inside, and I suspect that this may be an indicator that a thunderstorm is heading my way. There is no electricity in the Villisca Axe Murder House and as a result no heating or light and also no electric fans or air conditioning. After I had completed photographing the various rooms in the house, I retraced my steps and repeated the process but this time with video. Then I went outside and took several pictures of the outside of the house. I then went back in the kitchen sat down and waited for Darwin and Martha Linn to arrive, which they did a few minutes later. The Linn’s gave me a brief history of the house and how they had restored it and then Mr. Linn took me on a tour around Villisca to some of the other sites associated with the murders. The Linn’s are extremely hospitable and they certainly make anyone that chooses to stay at or visit the house feel very welcome. They both have an extensive knowledge of the murders and seem to take a genuine interest in making sure that you will get as much out of your visit as you can. They also have a few ghost stories of their own to tell. The first stop on the tour was the Olsen Linn Museum that the Linn’s also own, it has several historical artifacts relating to the town of Villisca and also contains information and pictures related to the Axe murders. I did ask Darwin Linn how the town felt about making the Axe Murder House a tourist attraction, he said although a few people had some objections most either thought it was a good idea or were just indifferent to it. He also mentioned that a film that incorporates the true story of the Villisca Axe Murder House had just been completed and was in fact premiering at the Sundance festival, and that he and his wife had some minor speaking parts in it. Personally I am surprised that the Villisca Axe murders aren’t far more famous then they are, even Jack the Ripper didn’t kill as many people and certainly not 8 on the same night with 6 of them being children. Of course like Jack the Ripper the murderer was never caught which adds to the mystery and allows people to still speculate as to who he was. But probably because of its more rural location the murders have been somewhat overlooked but hopefully they will eventually get the recognition that they should have. 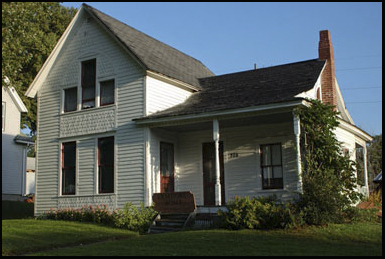 The building that houses the museum dates back to the time of the Axe murders and across the street on what is now the town park once stood the morgue where the body’s were taken. After a tour of the museum we returned to the car and headed up along Villisca’s main street. Heading north we passed the former home of Frank F Jones one of the main suspects in the murders and continued towards where he and also the murder victims are all buried in Villisca Cemetery. 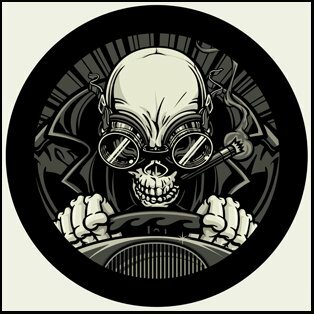 At the end of the dead end road at the top of the town; stretching across the top of the stone pillars to the cemetery entrance is a black curved wrought iron sign that says Villisca. Inside the road turns into a narrow gravel track just wide enough for a car that leads through its centre. We drove about halfway in and Mr. Linn parked the car. The Cemetery is fairly large considering the size of the town, but many of the graves in date back as far as the 1800’s. I immediately recognized the tombstone of the Moore‘s family from some pictures I had seen on the internet, it is quite close to the road and lar ger then many of the other graves. 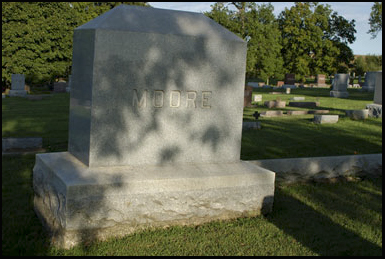 It is a light brown marble color that has the word Moore engraved in large letters on both sides. We got out of the car and Mr. Linn pointed out another grave just to the left, just in front of the Moore Tombstone. 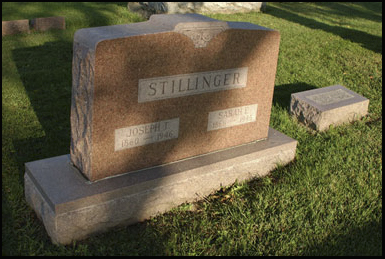 This is the final resting place of the Stillinger family including the graves of their then 11 and 8 year old daughters that were also murdered in the Villisca house. If you walk around to one side of the Moore’s tomb there is a long grey commemorative slab adjoining it. This lists the names of the Moore’s children, their date of birth and their deaths which are all recorded as 1912 the same as their parents. The sun was beginning to set so it was too late to take any photographs but I planned to return early next morning. Just across the other side of the track where the car was parked is another grave, this is in fact one of the main suspects in the case a man by the name of Frank F Jones. He was actually a state senator and very wealthy but surprisingly his grave is very inconspicuous and smaller then most of the others in the cemetery. Although he was never convicted, it still seems somewhat strange that a suspect was buried so close to the graves of the people whose murders he may have been involved in. Frank F Jones was a rival businessman to Josia Moore and there was speculation that he may have hired a convict by the name of William Mansfield to commit the Axe House murders. Mansfield was put on trial but was acquitted. The only other person to be put on trial in connection with the murders was the Reverend George Kelly, who was in town on the night of the killings and appeared to have some inside knowledge of them. He also made a confession, but that was later detracted and it appeared to have been made under duress after he was pressured by detectives working on the case. There was one other suspect although he was never brought to trial for this particular crime, and that was a man by the name of Henry Moor who was implicated in another axe murder also in 1912 which bore several similarity’s to the one in the Villisca house including the covering of the victims faces. We headed back to the Villisca Axe Murder House; the cemetery is literally right around the corner and probably not more then a 10 minute walk. After they restored the house the Linn’s built a small barn to the rear of the property that has a restroom in it, a fridge and a viewing room where visitors and paranormal investigators can gather to watch videos or discuss events when they visit the house, and unlike the house it does have electricity. I sat on the barn porch with the Linn’s for about half an hour talking about the murders and the paranormal and then Mr. Linn gave me a personal tour of the house. Although I had researched the murders before I arrived Mr. Linn was able to greatly expand upon my knowledge of them and answer any further questions that I had. There is only one restaurant in town and it doesn’t stay open that late, and the Linn’s had kindly invited me to dinner with them. The food there is pretty good country cooking, and your only other choice is to go to the convenience store by the freeway so the restaurant is a safe bet if your ever visiting. We talked some more about the house and the murders and by that time it had got noticeably darker. By now the reality that I would soon be spending the night alone in the haunted Villisca Axe Murder House was rapidly sinking in. It was around 8.30pm when the Linn’s dropped me off back at the house, and I would soon be on my own. Before he left Mr. Linn lit the Kerosene lamps in the house, opened up the doors to the cellar for me in case I wanted to explore, and ran out an extension cable from the barn so I could power my laptop and the infra red cameras. We said our goodbyes and then I was alone. I went to the car and started to unload my suitcase and 2 additional bags of camera and electronic equipment. As I was walking back to the house I could see flashes in the sky to the North West, I also noticed the wind was picking up considerably. Although outside it was still not completely dark as soon as you step inside the house you are in a kerosene lit gloom. I put all my baggage in the kitchen, and went back outside to run the extension cable fully into the house. In the distance the flashes of light were increasing and now seemed to be almost constant. I still hadn’t heard any thunder but I didn’t think that it would be to long before I did. I closed the door behind me, the power cable prevented it from being fully shut but there isn’t actually a way of locking it even if I could. It was at this point that I seriously couldn’t believe what I was doing. I was about a thousand miles from home or 5000 miles if you count England as home, in the middle of nowhere in semi darkness in a haunted house during a thunder storm and a tornado watch. It is hard to imagine any circumstances that it could be creepier, except maybe if it was also a Friday the 13th. In some ways the moment seemed so ludicrous that it was almost funny, but not quite. But here I was and it wasn’t as if there was a Holiday Inn around the corner where I could escape to. having to unravel the yards and yards of camera cable and then connect the camera cords to the laptop. There is no room to take cable reels when you travel by plane so invariably the cables tangle themselves together. I got out my flashlight and held it in my teeth while I tried to find which cable connected with which. Eventually the cameras were live and I set them to record. The streets outside are very quiet, and as the Villisca Axe Murder House is at the end of town you don’t get much through traffic. Although the house next door is in fairly close proximity, when you’re here alone by yourself you feel completely isolated. The humidity in the house downstairs makes it very uncomfortable, upstairs it is even worse. In the distance I could hear a very faint rumble of thunder. It was now about 9.30 pm. I drunk my first can of Red Bull and carried on unpacking. Whether I saw or felt anything or not, the experience of being alone in the Villisca Axe Murder House overnight would be hard to equal, its one thing switching the lights out when you are on an investigation but it’s entirely different when there are no lights to switch on should you ever feel the need to do so. The first thing I was going to do was a sweep of the house with the Trifield A.C E.M.F meter, to establish any base readings. However with an A.C E.M.F meter I don’t do this to detect the possible presence of anything paranormal, I actually do this to see if there are any exceptionally high levels of electrical energy present which could cause people to hallucinate and believe that there are. Although there is no d irect power to the house there could still be underground cables which could cause this and across the street I noticed what looks look like an electrical sub station. I didn’t pick up anything unusual, and there were no spikes in the readings. Next I got out my clipboard and graph paper and drew a rough plan of the house noting where the doorways and key items of furniture where so I could record where I placed any equipment at what time and whether I later moved it. One thing about investigating alone is that you don’t have to second guess if any noises or shadows you may see in the house may belong to another investigator. You are also forced to rely on collaborative evidence from electronic equipment which although not infallible doesn’t succumb to stressful conditions the way humans may. Aside from the camera equipment and E.M.F meters I had also brought with me 3 ambient thermometers which will measure air as opposed to surface temperature. They all have hi\lo alarms which will trigger if there are any extreme fluctuations and they will also record the highest and lowest temperatures until you chose to reset them Along with the A.C E.M.F meter I also had 3 Trifield D.C meters with me; I set the alarms on these and placed a thermometer and a Trifield meter in each of the bedrooms where the murders took place making sure that they would also be in the line of vision of the remote cameras. In the upstairs front bedroom where the closet door had been seen opening and closing I placed an anemometer on the floor beside it. This would register if there were any extreme drafts that could cause the door to open and close, although this is in fact highly unlikely. I applied various amounts of pressure on the door to get it to move and it certainly would take an immense breeze to do so, as it doesn’t swing at all unless someone pushes upon it. The wind is picking up outside and has in fact blown out the flame in the Kerosene lamp, I relight it and go back down stairs. The entire house does start to smell of kerosene, there are 5 lamps burning throughout, but it certainly does add to the authenticity. The flames flicker from side to side and cast shadows across the walls and ceiling but the actual light they provide is very minimal. The only other light in the Villisca Axe Murder House is the faint monotone glow of the Laptops L.C.D screen. I sat on the couch in the living room watching the monitor for about half an hour until it was around 11 pm. This isn’t really the sort of house you are going to go to sleep in, even if you wanted to. For one, the back door won’t lock and although I know this isn’t the big city and is much safer, who knows what sort of people may be wanting a closer look at a haunted axe murder house in the middle of the night. At that point I decided to go outside and take some night time shots. I took a few of the front and the side looking up to the attic windows, then I went into the basement where there was another kerosene lamp burning. and took one there. All the time there were continuous lightening flashes. As I emerged from the basement there was a huge thunder clap and I saw a bolt of fork lightening hit the ground only a few blocks away to the rear of the house. It was also starting to rain. I returned to the house to drop off the camera then went back outside and across to the barn at the rear of the property to get a drink from the fridge. The barn does have electricity and it was great to be able to see properly at least for a few minutes. As you look out towards the darkened porch of the house in your mind you go over what happened there the night of the murders. Who did it, and why, why were they never caught, and will we ever find out? But it seems that much like the true identity of Jack the Ripper this is one mystery that will never be solved. In common with the Ripper murders there were ritualized aspects to these killings. Whoever committed them covered all the doors and windows, and even the mirrors, covered the faces of the victims and pulled their bed sheets over there heads. But one misconception is that blade of the axe was used to carry out the murders, but with the exception of Sara Moore it was in fact the blunt side. The force with which the killer used the weapon was so great that it left marks in the ceiling, after he had finished he left it in the downstairs front bedroom before making his escape in the early hours of June 10th. The following morning at about 8am the body’s were discovered by Josia Moore’s brother who had been alerted by the Moore’s next door neighbor Mary Peckham who was suspicious as to why there were no signs of activity in the house as there normally would have been at that time. Once word got out about the murders, dozens of bystander’s began to gather outside and many went through the house itself potentially destroying any evidence despite the presence of the City Marshall Hank Horten. By the end of the day the crowd had grown to several hundred. With no immediate suspects it was decided to use blood hounds to try and track the killers scent, they arrived the next day and soon picked up a trail. The killer it seemed had fled North West, avoiding passing thought the town centre until he made it to a creek near to the rail tracks, this is where the trail went cold. It is speculated that he may have made his escape by jumping onto one of the dozens of trains that passed through Villisca each day as they made there way across Iowa. Walking back from the well lit barn, across the wood porch and to the dark entrance to the Villisca Axe Murder House, you can’t help but wonder if when you do open the door, there may be a surprise waiting for you. You also think could someone have sneaked in during the few minutes that you left the building. It’s still hot and humid outside but as soon as you get in the house it’s far ho tter and this and the smell of kerosene mean you are unlikely to catch any sleep. I went back to the living room and checked the laptop to make sure the record buttons on the monitoring software were still indicating the cameras were working. Then from my second suitcase I removed the humidity gage I had brought with me, within a few moments of switching it on it was registering about 70%. Aside from the video and photographs I also planned to try and get some E.V.Ps as well as use trigger objects to see if I could get one of the houses ghostly occupants to move one of them. I got a pen and my clipboard, a pack of Lexington cards and 2 digital tape recorders both with their own external mics. Something I have started to do is insulate one of the digital tape recorders against the possibility of recording sounds that may be stray radio waves or signals from mobile phones. How I achieve this is by wrapping it in copper mesh, and placing it in a carrying case. What copper mesh does is act as a Farady cage, by blocking out radio signals. It is fairly inexpensive to do and is quite effective, it can be tested by placing a mobile phone or radio within the pouch and you will find that the signals will instantly cut out. If I do record anything I can do a comparison against the tape recorder that wasn’t insulated. Initially I was going to try for some E.V.Ps in the top front bedroom of the house as this appeared to be the most active and also where most of the victims were murdered. At that moment as it was getting close to midnight there was one of the loudest claps of thunder I have ever heard, it was followed by a flash of lightening which illuminated the kitchen. It actually set off a car alarm down the street and also I could see that the streetlights across the road went off for a few seconds. Possibly there may have been a direct hit on the power transformer on the corner. It was slightly unnerving, but at least at that point there didn’t seem to be any signs of a tornado. There were a few more intense lightening flashes directly after that although the accompanying thunder wasn’t anywhere as loud, but one of the D.C Trifield meters did go off. However I can’t attribute this to being anything paranormal as there is the possibility that a D.C meter can be triggered by electrical storms. Regardless of this I don’t use E.M.F meters as “ghost detectors” I just use to record environmental conditions. I headed back to the upstairs of the house and glanced quickly at the attic room door as I walked past into the children’s bedroom. On initial inspection it certainly didn’t look like anything had been moved since I was last there including the closet door. There were several children’s toys on a table next to the window; I decided to borrow a building brick to use as a trigger object. I placed the clipboard on the floor within view of the camera, then placed the brick on the paper and drew around it with a pen. This way I could be sure if it moved or not. After that I took out the pack of Lexington cards from their box and spread them out across the floor so the letters of the alphabet were displayed making sure they were far enough away from the wi ndow that a draft wouldn’t cause them to move. There was another huge clap of thunder and a lightening flash; I could tell that the street lights had been knocked out again, although the strikes didn’t seem to affect the power supply to the house as there was still a faint glow from the lights of the infra red cameras. Although four children were murdered within a few feet of me, the Villisca Axe Murder House doesn’t have a bad feel to it, just one that something unseen may also be in there with you. Its past midnight now, and I decided I would try for some E.V.Ps. I took out the first tape recorder from the copper mesh, double checked the tape was erased, set it to record and placed it back in the mesh and into its case. I placed it on the floor in front of me, hit record on the second tape player and started to talk into the microphone. I spoke, paused for about 10 seconds then moved onto the next question. Aside from the standard “who are you”, and “show me a sign of your presence” I asked several questions about the night of the murder and if they, whoever they may be knew the persons identity. After asking around 8 or 9 questions over the course of several minutes I stopped. I decided to let the other recorder run for a few more hours, and at a later date I would review the audio via headphones and Adobe Audition which is the sound analysis software I use. I went back downstairs and kept watch on the 2 bedrooms via the laptop monitor for another hour or so. Soon it was getting close to 2 am. It was around this time that people speculate that that the murders where committed, using the cover of a passing train whistle. I had heard the train whistle a few times earlier on in the evening but I hadn’t heard one recently, but it is incredibly loud even when you are inside and there are houses even closer to the tracks then this one. About 2.30 am I decided to shift the camera position from the upstairs front bedroom to the one at the rear where Josia and Sarah Moore were killed. There have been reports that around this time of night people have felt a strange physical pressure bearing down on them as they walk up the stairs which is believed to have been triggered by the murders taking place. This time as I made my way back through the living room and up the stairs I took my camera with me. I started to take photographs as I made my way up, pausing every few steps taking a picture then proceeding a few more steps. I didn’t feel anything unusual but there is something very unnerving about having your back to the stairway entrance, and for a few moments not really being able to see clearly behind or what’s up ahead. I drew level with the floor took a picture, took a few more steps and was soon in the first bedroom. I passed by the attic, took another photograph and then one more in the bedroom. It was almost pitch dark as the kerosene lamp near the window had blown out, I switched on the flashlight which was clipped to my belt. There were no signs that the Lexington cards trigger object or door had been moved, but there was still the possibility that I had captured something on video. I decided to leave the tape recorder running, but shifted it and the camera to the rear bedroom where the children’s parents had been killed then I went back downstairs. I had planned on getting a few hours sleep, as I had several hours driving ahead of me early tomorrow morning but it really was proving impossible. It had been raining for some time and just when it looked like the storm may be passing all of a sudden there would be another huge clap of thunder. Aside from the alarm triggered thermometers that I had placed around the house, I also had another one which I had next to me on the floor by the couch, at one point it had reached almost 80 degrees. I also had a small pocket radio which I tried to listen to and pass the time for a few hours, but after scrolling through all the stations the only thing I could pick up was static or a faint signal that would fade in and out after a few seconds. I assume this was to do with the electrical storm, or it could be the fact that I was in the middle of nowhere. As it was getting close to 4 am I decided to walk around the Villisca Axe Murder House one final time taking random photographs. After reeling off about 20 of them in quick succession you begin to see bright lights in front of your eyes for several seconds after the flash has gone off. It was at this point I decided I was done for the night. In about another 2 and 1/2 hours I would have to get up. There was no way I could get any sleep in the house, so I thought I would see if I could catch a few hours outside in the barn, as they have some chairs there and it is a bit cooler, but that idea didn’t work so I decided I would try the car. It’s not that easy to try and sleep in a Ford Focus rental car when your 6ft 1inch but at least it does have a fan in it. I switched it on for about 10 minutes, wound the car windows down slightly and eventually I did manage to sleep for a bit. The windshield was misted up from the condensation so no one could see I was inside, but from where I was I could still keep an eye on the rear door of the house. I woke up around 6 am when it started to get light, and by that time it had stopped raining. I got up and walked back along the wooden walkway to the rear of the house and went inside. Living in Los Angeles I do find it strange that the Villisca Axe Murder House has a door that you can’t lock, particularly as I had several thousand dollars of equipment inside, but it was still all there. I started dismantling the cameras and gathering up all the equipment into the kitchen so I could start re packing it. I checked the high low indicators on the thermometers but there were no abnormal temperature fluctuations. I unpacked my change of clothes and toothbrush and went next door to the washroom in the barn. After I left the Axe Murder House I was planning on going back to the Villisca Cemetery to revisit the Moore and Stillingers graves, just as soon as it was light enough to take photographs. Eventually I had repacked all the equipment into its various cases, which is a lot easier to do during the day. I then took everything out to the car and returned to the house one last time. On one of the kitchen tables is a log book where other groups have recorded their own overnight experiences. I wrote a brief account of my stay, and left a business card. And although by all accounts many people had a more eventful night from a paranormal perspective, I was certainly in no way disappointed. I did of course have about 16 hours of video, several hours of audio and about 60 photographs to check when I returned to Los Angeles. But although I do visit such places in the hope of capturing the elusive full apparition on video or digital film I have realistic expectations of doing so. You can appreciate the history of these locations and the experience of just being there, without considering it a disappointment if you don’t get a picture of a ghost. And as a result you will be far less likely to accept that dust particles are the “spirits of the dead” and recordings of squeaky floorboards are some sort of cry for help from beyond the grave. Do I believe I may see or capture a full apparition on video or camera? I always believe that there is that possibility. But I also hope that by not compromising what I consider evidence that if I do ever capture anything then it will be credible. After my visit, to the Villisca Cemetery it was time to head out on the road once more. I stopped off at the convenience store next to the freeway for my traditional road trip breakfast of doughnuts coffee and Red bull. Then it was a 3 hour journey to see if Stull Cemetery in Kansas really was a gateway to Hell. After returning to Los Angeles I spent the next few weeks going over the video and audio footage. Did I capture anything in the Villisca Axe Murder House that I would consider paranormal, no I didn’t. There could be several reasons. You could hypothesize that what ever emotions you had in life you take with you into the afterlife if there is one. Children are normally frightened of thunderstorms and maybe even in death they are still frightened, but of course this wouldn’t account for why the adults that also died in the house didn’t make themselves known. Another reason could be that because of the thunderstorm there was a high level of humidity in the Villisca Axe Murder House. The higher the humidity levels the less likelihood there is of being any static electricity, and if you believe that ghosts may be a composition of electrical energy then this could have affected their ability to manifest or communicate. But I think that the main reason that I didn’t capture any evidence of paranormal activity is that genuine phenomena is extremely rare or it may not exist at all. But if you dismiss all the orb photographs, faces people believe they see hiding in trees, strange lights that aren’t really that strange, phantom mists which are actually water drops on a camera lens and spirit voices that are in fact digital tape hiss how much credible evidence of ghosts is there anyway ? Well for me personally perhaps just enough to continue the chase. Hey Buddy!, I found this information for you: "A Night Alone In The Villisca Axe Murder House". Here is the website link: https://www.chasingmidnight.com/villisca-axe-murder-house. Thank you.